Thank you to all of our families for posting such nice and wonderful comments about your parties at our facility. We appreciate your kind words. We love hosting your birthday parties and enjoy being a part of your child's special day! Go with the GLOW !! The younger kids and older kids LOVE the Glow Party.... The special feature can be added onto any Birthday Party, Fundraiser, Field Trip! 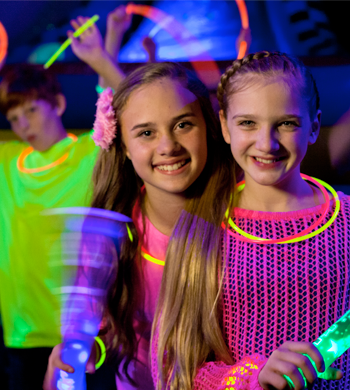 Glow Package includes glow necklaces for all the kids! Or check it out during one of our Glow Jumps or Jump n Jam Nights! Click on the events calendar for our next session! Thank you to the Pump It Up Hamilton team for such a great birthday party! I would have never through my 13 year old daughter would still want a Pump It Up Party! She and all her friends had a blast! They loved the Jump n Jam Party and all the glow lights. Thank you to the staff that hosted the party and had as much fun with it as the girls did. 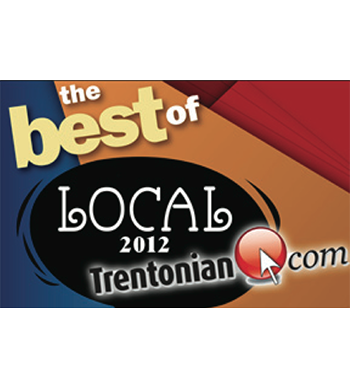 Thank you to all of our Pump It Up families for voting us the Best Place to have a children's birthday party. We lOVE hosting your child's special day as much as the kids lOVE coming here 🙂 We appreciate and are honored to be a part of your special memories. 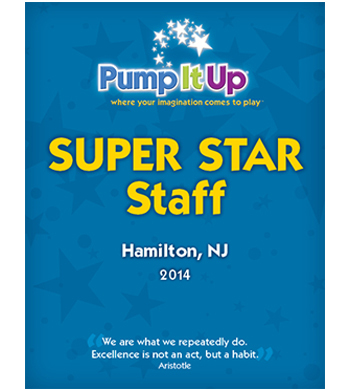 "My son Jacob had his birthday party at Pump It Up Hamilton yesterday, 3/23. I just wanted to say thank you for hosting such a great party. He had the best birthday! The staff was great and very helpful and friendly. 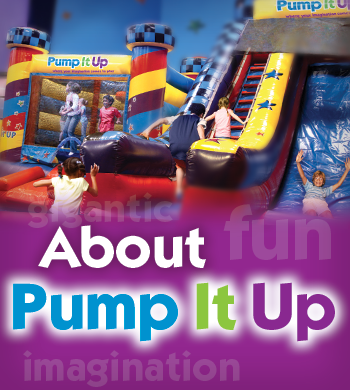 I would definitely recommend Pump it Up to anyone looking for a great party!